GDG DevFest Toulouse is a developer conference that welcomes people at all levels of experience. Join Toptal developers Raúl Jiménez and Julien Renaux, along with experts from throughout Europe, for a full-day conference with four tracks. Raúl will give a talk titled Angular Elements, which will be aimed at beginning-level Angular devs. Join him at 2:30pm to learn how to create your first web component with Angular Elements, and how to use it in a plain JS app. You can also find Raúl during his “Office Hours” at 3:30pm. Julien will be on site as an organizer of the event. 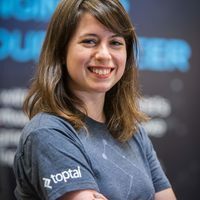 He heads up GDG Toulouse as well as the local Toptal community, so be sure to find Julien if you want to learn more about working with Toptal. For more information and to get tickets, see the event website.